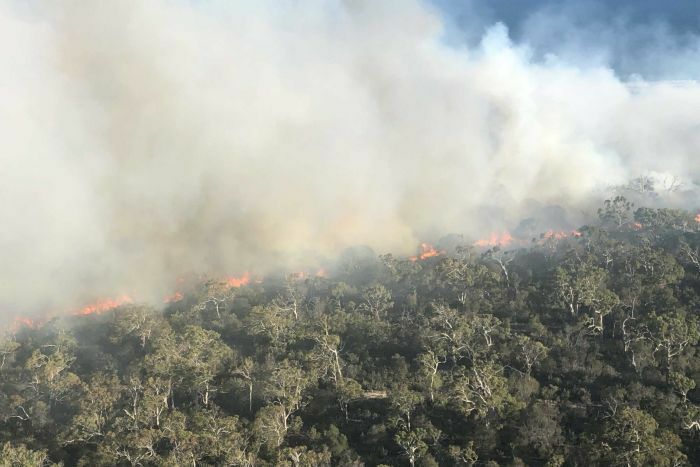 As at 18:30pm on Wednesday night, the Tasmania Fire Service (TFS) warning for the area has been downgraded from a watch and act, to an advice level. 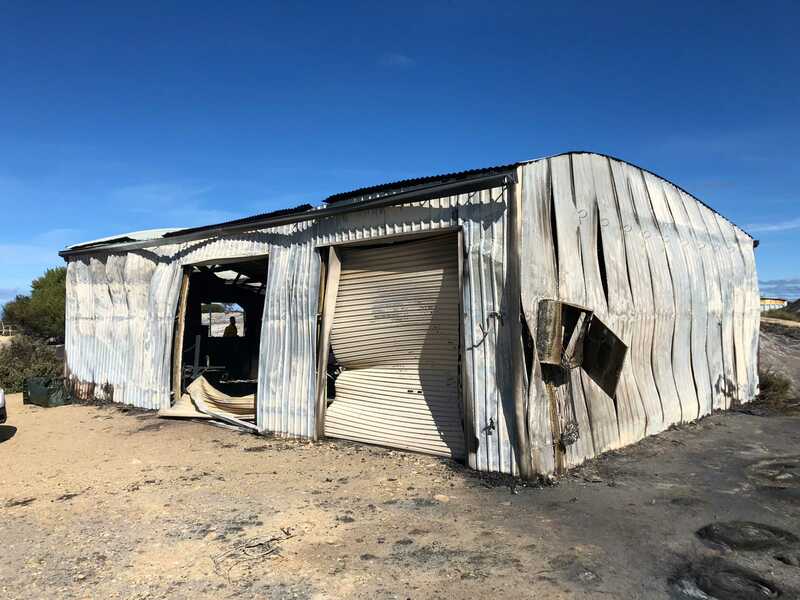 The TFS has confirmed two sheds, a caravan and machinery have been damaged by the fire. 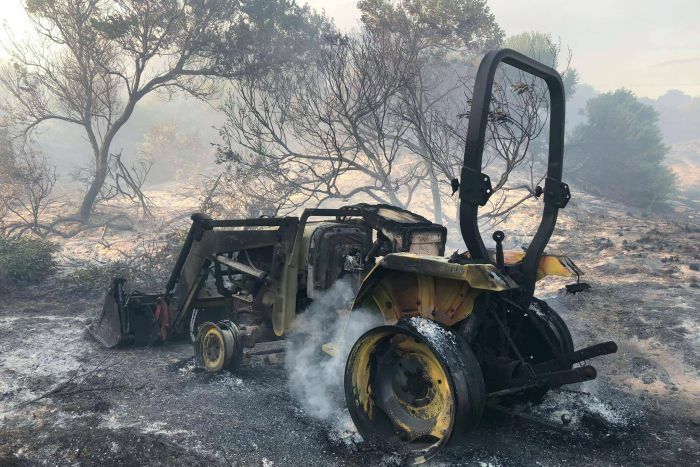 The fire started after a registered backyard burn-off escaped on Tuesday afternoon and burned rapidly through 130 hectares. About 25 crews were working to contain the fire late on Wednesday. Firefighters were backburning along the western edge and northern side of Dolphin Sands Road. The TFS is now asking anyone conducting a burn greater than a cubic metre to obtain a permit from a TFS permit officer, and to only burn in appropriate conditions. Photos from the scene showed at least one structure badly damaged. 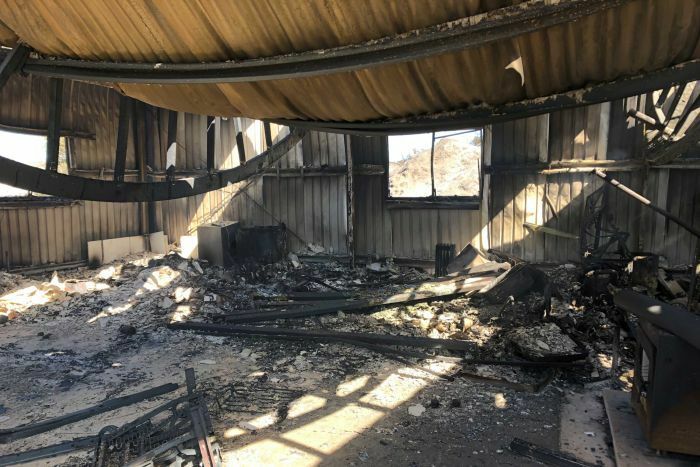 “We’re having some success right now getting containment lines in and built and getting ourselves in a position where we can get ourselves in a position where we can get right on top of this fire,” Mr Gye said. 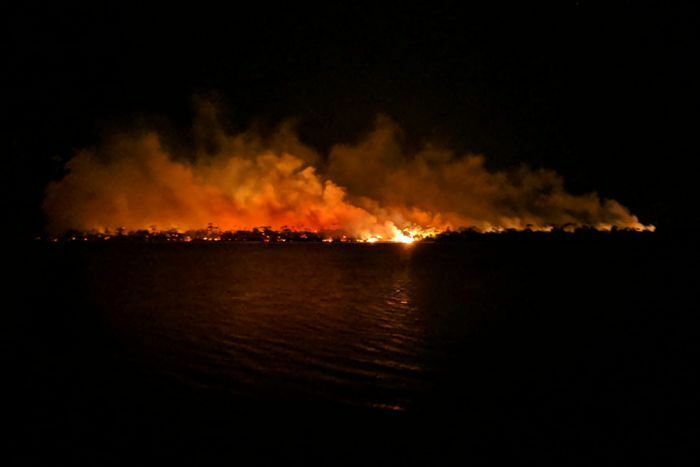 “The fire itself has been contained mainly to the far eastern end of the spit. In terms of the rest of the road, that’s largely unaffected. Two waterbombing helicopters are also being used and have assessed the area. Earlier, station officer Jarrod Read said almost all residents had left and those remaining would be forced to evacuate if conditions worsened. “We have identified trigger points for three residents that are currently staying on their property, and we’re being vigilant with those people, but they understand if it does reach those trigger points then they will be escorted out by police who are also on the scene,” he said. The TFS said a firefighter had suffered a minor injury and was given the all clear after getting medical treatment. David Matthews from the Bureau of Meteorology said winds would ease later today. “Light to moderate westerly winds this morning become a little bit variable later on this afternoon, and then ease in the evening,” he said. Mr Gye said the owner of the property where it started had “done everything properly”. “It really does highlight that despite the cooler weather we are having, most parts of the state are still extremely dry,” he said. 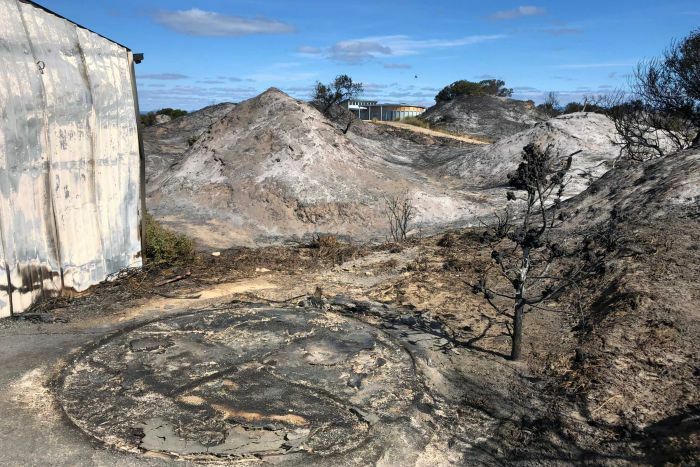 “It is rapidly getting to the point where there is no such thing as a fire season, it really is just one fire season in Tasmania these days. “The way that fires used to act around this time is not an indicator of how they are going to act today in the conditions we face. Some shack owners are reporting damage to decking and water tanks, but there are no confirmed reports of property losses. However, a full property assessment is yet to be done. Mr Gye said access to Dolphin Sands Road and the spit area was restricted and warned shack owners would not yet be able to get access. “No-one should be travelling up to Dolphin Sands, we’ll be getting people in there as soon as it’s safe,” he said. “Our crews are busy enough trying to make sure that houses don’t burnt down without people suddenly coming around the corner out of the smoke. 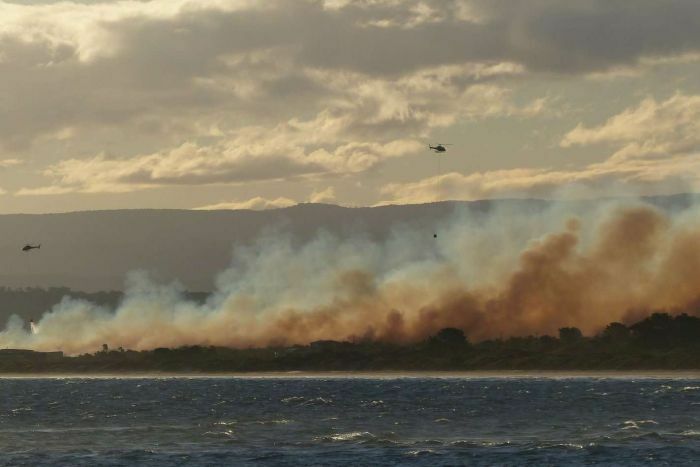 There is an ash and smoke alert for Coles Bay and Swanwick. The Swansea Backpackers gave refuge to 10 Dolphin Sands locals after they were evacuated from their homes. Staff member John Watson said they were distraught when they arrived but grateful for the help. “They were pretty distressed so we offered them a shoulder to lean on, to have a chat, to have a coffee … a nice warm fire,” he said.